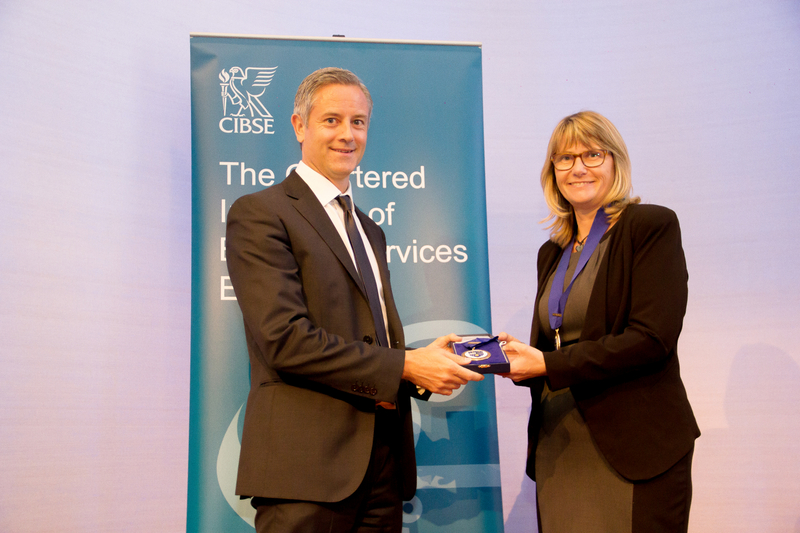 Our Head of Sustainability Ashely Bateson has been inaugurated as a Vice President of CIBSE at its AGM earlier this month. Acting as an ambassador for CIBSE and the building services engineering profession. Supporting the new CIBSE President, Stephen Lisk, and the CIBSE Executive in managing the governance and strategic direction of the institution. Representing CIBSE in industry forums, government consultations and working groups; sharing best practice and knowledge of building engineering services. This is a fantastic opportunity for Ashley to represent our firm, working as part of an organisation that promotes high standards, supports research, publishes guidance and acts as a voice for the industry. Ashley receiving the medal of the Vice Presidency from President-Elect, Professor Lynne Jack. The appointment also gives our firm another avenue to influence a key institution within the built environment.